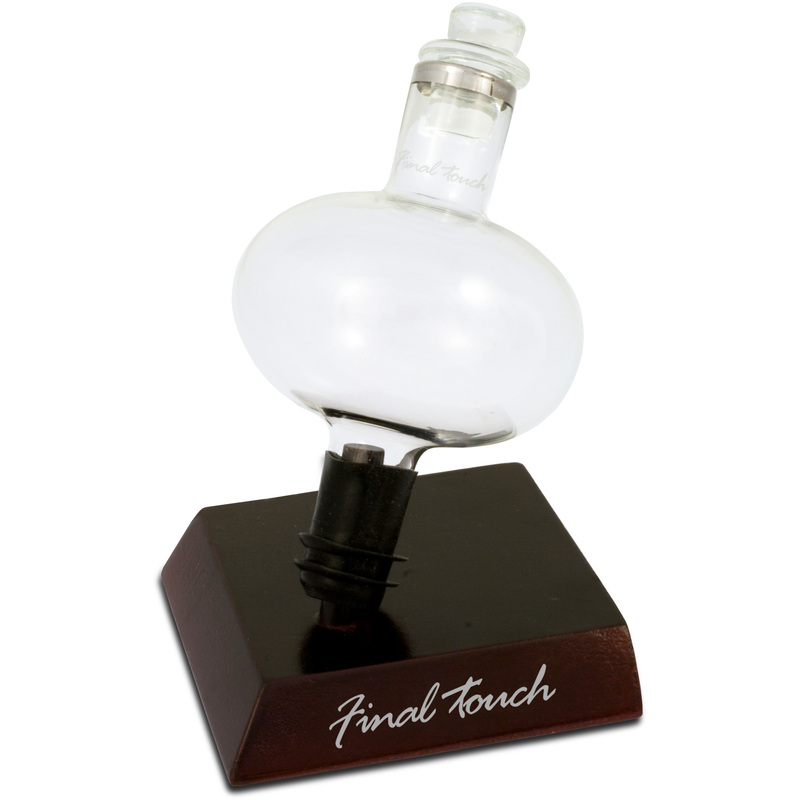 When you're in a hurry to enjoy your wine, use the Final Touch wine scent and flavor enhancer to aerate and release the flavors you love quickly. This glass enhancer fits snugly into the wine bottle, and the black silicone stopper prevents leaks. The aeration bowl releases the aroma and flavor of your favorite wines as you pour and it features an elegant silver trim on the pouring edge. The set also includes a wood storage and drying base, and is an elegant addition to any home.